Project Alicia : Secrets Revealed, the Nuclear Kind. Secrets Revealed, the Nuclear Kind. Many of you may not realize that my husband is a nuclear operator at a nuclear power plant here in Iowa. More specifically he is a control room supervisor. Before that he served six years on nuclear submarines in the Navy. 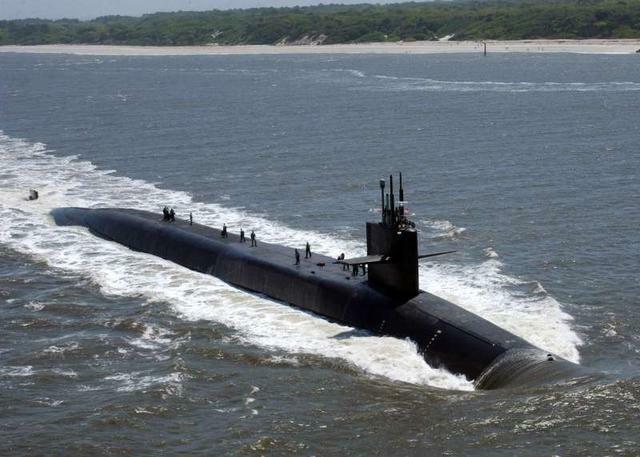 This is the USS Florida, one of the subs that hubs was assigned to. Nuclear power has been our life- the only life I've known for the course of the 18 years that we have been married. And yet there is still so much that I do not understand about it. It may not help that I am not allowed to see the intricacies of his job, as I can not get the security clearance required to enter the plant. Or the road to the plant, for that matter, thanks to the terrorists of 9-11. He has tried to educate me over the years, perhaps in an attempt to calm my concerns. But where there is an emergency evacuation plan plastered in the front of every phone book in the city... it seems only logical to me that some degree of concern is valid. On March 16th we were en route to South Carolina. More specifically, Columbia, South Carolina- hubs was being interviewed at a brand new nuclear power plant, not yet constructed, for a possible position at their PWR (Pressurized Water Reactor). A warm destination that sounded perfect for spring break, so the kids and I packed it up and tagged along. 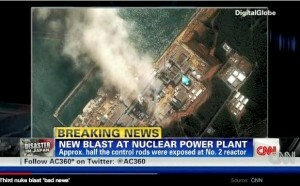 It was about then that the Fukushima plant in Japan was making headlines. The patchy signal from my iphone was feeding my fixation. I devoured every article I could find. I had to know everything. I had to understand why this happened. And if it could have been prevented. This was not just a disaster that had struck thousands of miles away. This was a disaster that could affect our life right here. This had become a national crisis. People were in panic mode. Sessions of congress were being scheduled. Politicians were already talking of pulling the plug on plants here in the states. Plants that could be our ticket out of Iowa. Plants that employed my husband. It was becoming too personal for me. But it wasn't until I read of the "Fukushima 50" that it really hit home. Haldan is not much of an alarmist. He has tried at every turn to downplay as to not worry me. But there are red flags that must be addressed. We are definitely not getting the entire story and Japan may be in denial. They have 6 reactors damaged- none of which were rated for that size quake or tsunami. They are focusing on #4 because of an outage that left so many spent fuel rods exposed. Without power there is no coolant to keep the rods at a regulated temp, causing them to continually heat until it boils off all water, eventually causing hydrogen explosions (due to a metal found in the encasement surrounding the rods). But I fear that the radioactive particles that have been expelled from that are nothing in comparison to what may happen should the primary containment be compromised. At least that is my take on it. I pray to God I am wrong. 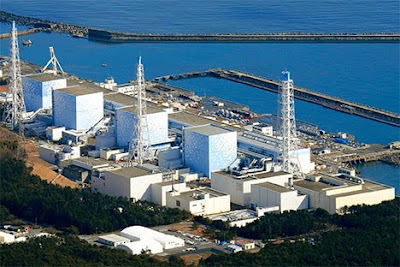 But now we are slowly getting reports of cracks and leaks and possible melting... As they speak of the Fukushima 50 that are risking their lives for the greater good, trying at all costs to prevent a total meltdown, my heart is breaking. I'm certain this was not in their job description and perhaps it is hitting too close to home now. I know there are many jobs that have severe degree of risks involved, that this is not the only occupation with hazards. But it is the current occupation of my husband. A selfless man that, if asked of him, would willingly risk his life for the greater good. A man that could have easily been one of the Fukushima 50. This is not a thought that makes me sleep well at night. It is also not a thought that I like to exercise regularly. But I know that it is only by reading and educating myself that I can conquer my own fears and find peace concerning my husband and the task that takes him away from us at all hours of the day and night on a regular basis. Nuclear power is one of the safest forms of energy. It is clean, efficient, and highly effective. It does not emit harmful emissions like that of coal or oil. It is also much more long reaching than that of wind or solar power. However, many people fear it. They think of radiation and Three Mile Island or Chernobyl and immediately think of nuclear meltdowns. The truth is, we are all exposed to radiation every single day we take a breath. According to the EPA, on average, a normal person is exposed to 360 millirem of radiation yearly. Low levels are found in waterways, rocks, and plant life all around us. Microwaves, x-rays, smoking, even flying... all add to the levels of radioactivity we are exposed to. And it is very likely that some of the Japanese who fled their homes received more radiation from flying than they would have had they stayed put. But it is difficult to measure these levels, as most Americans do not wear TLDs (Thermoluminescent Dosimeters) like nuclear operators making it is difficult to know precise levels. But you can click here to measure your approximate amount of radiation in mrem. You might be surprised. I know I was. The thought of radiation takes me again to the islands of Japan. No one could have ever foreseen such devastation. A 9.0 earthquake. Then a tsunami that arrived at a speed of up to 800 kilometers per hour (the speed of a small jet liner). Waves 23 feet high. If the quake wasn't enough, the water did them in. Water, when unleashed, is a dangerous force to be reckoned with. (We had a small glimpse of the damaging powers of water back in the flood of 08.) The nuclear plant was doomed. It truly was the perfect storm. And although it has been a wake-up call for me personally, the chances of that "perfect storm" ever happening in the United States is very slim to non-existent. There are only 9 coastal nuclear power plants here in the states. 2 on the Pacific. 2 on the Gulf. And 5 on the Atlantic. At least by my count. Correct me if I am wrong. 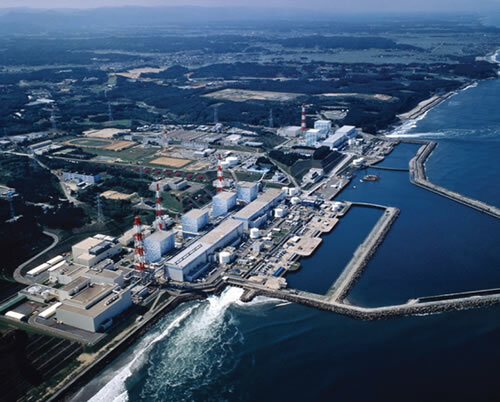 Unlike Japan, the majority of our nuclear power plants are situated in lowly populated areas. Also, Fukushima had not one, but SIX reactors attached to that plant. Those square looking buildings are where the reactors are housed. This photo shows four and the other two are located outside of this shot, but can be seen in the above photo. In the United States there are no facilities with that number of reactors. Arizona houses the largest one, with three reactors at the Palo Verde Station. Most have one or two. To put it into better perspective, consider the loss of life that has occurred due to energy generation between the years of 1970-1992. According to the World Nuclear Association, coal leads in fatalities with 6400 deaths followed by hydroelectric dams at 4000. Natural gas came in third at 1200. And nuclear power had only 31 deaths. Those are some staggering statistics. Every single crisis that has occurred over the course of history has been implemented into operator training manuals to ensure that no mistake is ever repeated. Since the Chernobyl disaster of '86 there have been no other disasters until Fukushima. It is my hope that we do not let the extraordinary happenings of Fukushima consume us with fear and prevent the United States from reaching it's potential. There have always been and will always be natural disasters of all kinds. Japan's was one of the worst possible scenarios. But the fact that those reactors faired as well as they did with a 9.0 magnitude earthquake followed by that size tsunami should be considered encouraging. Additionally, we can not make decisions based on what ifs. That is not a way to live. More importantly, that is not the way that I want to live. We can not move forward if we are hindered by fear. And most things feared are not so scary when we really understand them. At least this has been my experience. I live in the United States of America. Land of opportunities. Or so I've been told. Nuclear Energy is the sustainable energy of my future. And my children's future. Let's move forward. Review the accident of Fukushima. Implement lessons learned into the design and operation of our nuclear plants. And not let fear win out in the end. Your future is up to you. Photos taken from google images. I enjoyed reading your thoughts, and insights. I honestly can't imagine the feelings of fear for you own husbands safety. My heart continues to break when I see the damage done in Japan. Welcome to my life. My reality. My husbands line of work makes me worried EVERY. DAY. you cant live with the "what ifs". they will consume your mind and your heart and your life and make everything black and ugly. you have to live with the right nows. and enjoy whats in front of you at this moment. You are absolutely right in this situation- learn EVERYTHING we can from this horrible experience- and improve what is still standing in anyway we can. I know Diablo has 2 reactors. I also recently learned that not only are they on a cliff high above the actual ocean, but there are water reservoirs even high up than the reactors. If- God forbid- a disaster occurred, they are set up to pump that reserved water into the reactors to cool them if need be. I am close enough to be concerned about the plant being here, but am educated enough to believe that they have it under control. Yes, there are things we have NO control over- such as the disaster in Japan- but we have to have some faith in the education of our nuclear staff and the guys who planned the building to begin with. They can know everything, but they know an awful lot, and I am content knowing that they are constantly updating their knowledge and the systems they are using to be the safest they can be for not only themselves, but all of us too. having worked with nuclear medicine as a vet tech, I have been educated (to a degree) and tested weekly (when I was working) and had very little exposure in the grand scheme of things, despite my close proximity to I131 and a cobalt unit, as well as Beta radiation. Very interesting post, I have to say. I don't think about this so much, nuclear power plants are here and I can't do anything about that's it. I might hit by the car and die is more probability than our power plant will blow up so I'm not very concerned. What we all should worry about it nuclear waste, where we put it and what we do with it. Think life after 150 years after us...do they (who live here in earth) read same way like us and do they understand how dangerous places those final nuclear waste places are!?!? Lish, this is one of your best posts! The photos and your words paint a picture for me, and I feel so much more aware about nuclear energy. Your husband does an awesome job, no wonder little man wants to be one, too. And if you move to SC, I will hop on 95 and meet you as the welcome wagon. Be warned! Lish, this is a really good post. I think you did a fantastic job. As I mentioned on Twitter, I learned a heck of a lot about nuclear energy and I learned a little more about you as well. :) Great job! Thank you so much for this post. 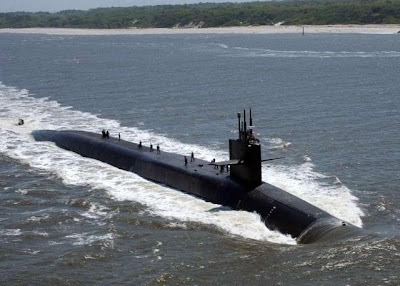 My husband has been in the Navy for almost 12 years now as a nuke, and will be going back to a sub in less than a year after our lovely shore duty break. I know very little about how nuclear power works (although probably a lot more than someone whose husband DOESN'T play with reactors all day) but the stories in the American media have been both scary and infuriating. Last week I had a couple of doctor's appointments and ended up with 2 sets of x-rays in one day. That exposed me to more radiation than living near a power plant does in a year. It's so nice to see all my thoughts written out for people to understand. Thanks for sharing your information. I saw a documentary on Chernomble recently and I'm worried about what happened to Japan. There is a Nuclear plant in Southern California that I drive by on the way to my sister in San Diego area. What I usually hear about it is that it's a great surfing site. I have to admit I cringe a bit when I see the huge globe shaped buildings. Thanks for sharing the statistics and informing me of what can happen. I admire that you have stayed calm through out all of this. Alicia- I totally hear you!!! We live in Southern NV- home of Yucca Mountain- which given your involvement in that industry- I am sure you know a lot about. It's in our county- used to bring $30M a year to our county which is the second largest in the nation. Thanks to Harry Reid (our own senator) all but $1M in funding has been cut from our county & the economic downturn has turned into a tragedy. The politicians in our state are more concerned with the 2 largest populations & what they want- are not even considering what it will do to our county by getting rid of it. Not to mention the 49 other states that don't want to continue to store it above ground. They damaged our land with a 40 billion dollar hole in the ground & have not offered to even put it back the way it was. Thousands of jobs have been lost. It's a shame that some misinformed people have devastated an entire county like they have all to enhance their political future.